There are many smartphone fans that are looking forward to the release of the next phablet device from Samsung, which could be as soon as next month. 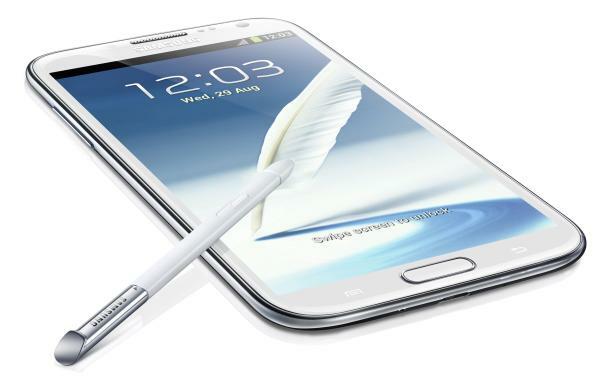 The specifications and design have long been rumoured about the device and the Samsung Galaxy Note 3 launch date possibility has been raised again. The next new flagship handset from Samsung has long been tipped to be unveiled at some point during September with the IFA 2013 event the first date suggested, but it seems that Samsung will be showcasing the device just before then at a special event on September 4th, according to reports coming out of Korea. This is two days before the IFA 2013 event kicks off in Berlin, Germany which is still the venue that is expected to hold the unveiling of the Galaxy Note 3. The company is also being tipped to unveil a wearable product as well that is being called Samsung Galaxy Gear, and is thought to be a smartwatch device. The device could get out of the door before the much rumoured smartwatch that Apple is working on that we reported about recently. Rumours about the Galaxy Note 3 have been suggesting that the device could come in various screen sizes but 5.7-inches seems to be the more likely solution. This will supposedly be powered by the Snapdragon 800 processor that a lot of new high end handsets are now using, and the device will come with Android 4.3 Jelly Bean straight out of the box. As we get further into August the company is likely to send out invitations to its press event so at least by then we will know the date for the handsets launch. Source: Asiae.co.kr via Google Translate. Yep, my new phone for sure. Please, please put Gorilla Glass 4 on it so we can see the screen in bright sun light. Snapdragon 800 is awesome. Wireless charging would put this over the top. Include these things and you will sell more than the S 4. No doubt in my mind. Make this the best of the best another Swiss Army Knife of handsets.